This is a brilliant DIY project. 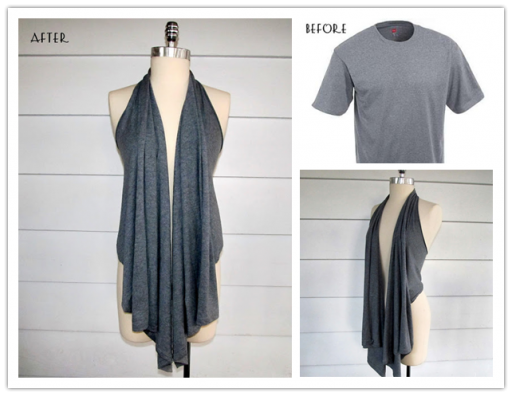 You can turn a regular tee shirt into a drapped vest. It is so simple. You don’t need any sewing skills. As a matter of fact, any reasonable person can do this in five minutes. If you get a large size tee shirt and a pair of scissors, you are good to start. Follow the simple instructions at wobisobi and be ready for your cool new vest in the next five minutes. One Response to "DIY no sew drapped vest from a tee shirt"